Our banking attorneys are nationally recognized within the world of financial institutions. We help banks and other financial institutions navigate the complex maze of legal issues they face each day—focusing on matters that require specialized knowledge of the particular regulatory regimes that govern them. We represent clients in matters ranging from mergers and acquisitions and joint ventures to advising financial institutions on structural and governance issues, such as choice of appropriate charter, corporate structure, formation of holding companies, and board of directors issues. We assist clients in designing, implementing, disclosing, marketing, and operating virtually every kind of financial product or service, including deposit and credit accounts, overdraft programs, online and mobile banking services, cash management systems, direct and indirect auto finance programs, student lending, private banking programs, and payment cards. More than legal advisors—we help you build and secure your business. At Hinckley Allen, we offer much more than legal counsel. We are seasoned business advisors who deliver practical and savvy advice that prepares your financial institution to thrive. With a seasoned cadre of business attorneys and affiliated professionals, we are a comprehensive, interdisciplinary resource staffed with experienced people in: compliance and regulatory, mergers and acquisitions, tax and SEC, contracts, litigation, international law, data security, insurance, real estate, and other specialties that touch the banking and financial services sectors. Advise clients on design, implementation, disclosure, marketing, and operation of products & services, including: consumer and business deposit and credit accounts, overdraft programs, cash management programs, electronic funds transfer and electronic presentment programs, online and mobile banking, direct and indirect auto finance programs, student lending, private banking programs, credit and debit cards, and prepaid cards. 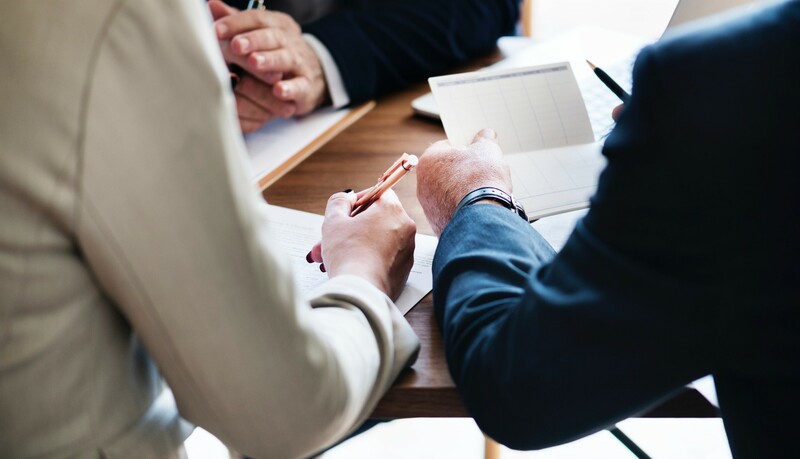 One of our attorneys chaired the Law Review Task Force Committee that rewrote and modernized the statutory provisions that govern the authorized “powers,” and the permissible “loans” and “investments” of Connecticut chartered banking institutions. We represented a sales finance company in response to a Massachusetts Division of Banks Examination Report that alleged extensive compliance violations. We addressed each of the issues raised by the Division in a manner that normalized relations with the licensing authority and preserved the licensee’s good standing in the state. We represented an online company in response to a Massachusetts Division of Banks Examination alleging violations of the SAFE Act and other licensee obligations. Our attorneys represented a distributor of prepaid cards in a landmark pre-emption case that upheld nationwide distribution and branding of bank-issued prepaid cards through non-bank channels. Advice on money services business licensing requirements, escheatment, bulk sales programs, anti-money laundering issues, account terms and conditions, marketing and loyalty programs, and requirements of the Office of Foreign Assets Control helped the client create and implement a successful program. We assisted a group of banks with the creation of the first home-equity line of credit products in Connecticut and represented the Connecticut Bankers Association in negotiating and drafting amendments to Connecticut law in order to accommodate those products in the face of resistance from consumer advocates. We represented Bank Rhode Island ($1.6 billion) in its sale to Brookline Bancorp Inc.
We advised Union Savings Bank in $35 million cash acquisition of First Litchfield Financial Corporation. We represented holding company, New Alliance Bancshares Inc., in six acquisitions and in its sale to First Niagara Financial Group. We participated in Task Force formed by the Massachusetts Bankers Association to evaluate and comment on streamlined mortgage-disclosure documents published by the Consumer Financial Protection Bureau. We integrated a features program for a super-regional national bank and disclosures for a national bank consolidating operations in five states. We advised NewAlliance Bancshares Inc. in the then-largest and most complex mutual-to-public conversion in banking history, with two simultaneous mergers and more than $1 billion raised. We advised Rockville Financial Inc. (a NASDAQ Global Market company) in an $85 million “first step” conversion/initial public offering and formation of a mutual holding company. We were called back to advise in their $170 million “second step” public offering. We advised First Connecticut Bancorp Inc. (a NASDAQ Global Market company) in their $172 million mutual-to-stock conversion. We represented Bankwell Financial in its initial public offering and acquisition of Quinnipiac Bank & Trust Company. We represented Savings Institute and Putnam Savings Bank in their conversions from federal to state banking charters. We represent Bankers’ Bank Northeast in its application to establish a bank holding company. We represented a private investor in the purchase of a majority interest in a more than $1billion investment advisor. We represented a regional bank in its acquisitions of several independent insurance agencies. Data Security: Are you doing all you can?